Last week I talked to you about the Sun Halo and being Suddenly in Awe, but there was more to the day than what was happening in the sky. 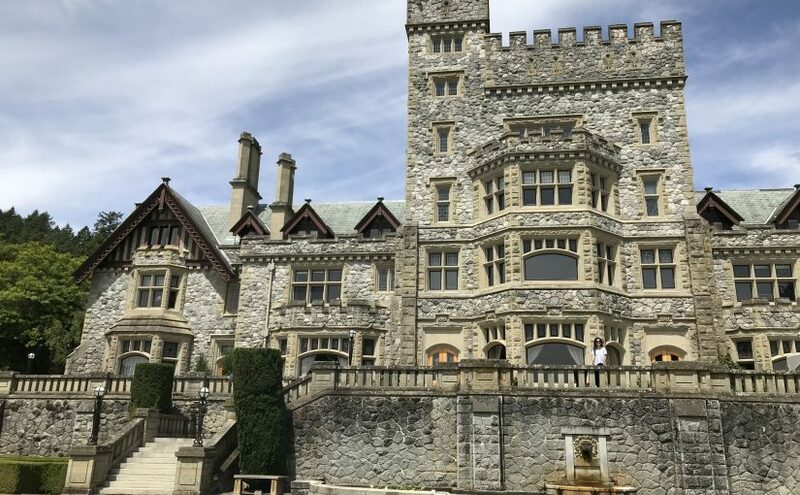 Down on the ground, on the luscious castle greens (the photo is of Hatley Castle at Royal Roads University), my artist friend had a burst of inspiration that could not be contained. She grabbed my bare foot and proclaimed, “I need a canvas!” At which point she began to arrange tree ‘droppings’ and various lawn ‘treasures’ onto my foot. You see, in the random shapes and colours of nature – she saw the makings of butterflies and she put them together on my foot to make her vision come to life right there, right then. Sadly I didn’t take a photo before the wind decided the picture was complete but the lesson stuck. Speaking for myself, so many times I know I’ve waited for… more letters after my name, another course to be completed, the site to be ready, the timing to be perfect, the circumstances to be just so, the people to be all lined up, the facility, the weather, the cosmic forces to give me a sign…you get the idea – before I begin to do what I desire to do. My friend on the other hand, started where she was, with what she had and made something happen. It wasn’t earth shattering or life changing or a mini miracle or anything exceptionally grand, it was simply an idea she brought to life. An idea that could have died because she didn’t have a ‘proper canvas’. It was an idea she had that made her feel good, a simple pleasure, fulfilling her urge to create. What if this week we commit to starting right where we are, with just exactly what we have? Not wanting more of anything to be there or less of something to occur. Just start. No masterpieces are expected, just joy in the process of moving forward. Starting where you are with what you have, it’s just one more way to live Your Life, Unlimited! This entry was posted in Empowerment, Happiness, Newsletters, Positivity, Stress Management and tagged e-news, happiness, Inspiration, personal growth, Stephanie Staples, Your Life Unlimited. Bookmark the permalink.